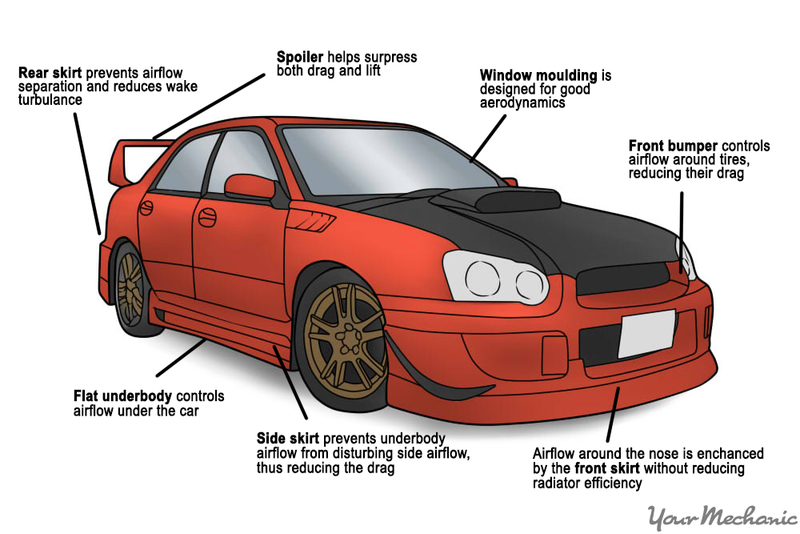 Having a body kit installed on a car is a pretty huge commitment. 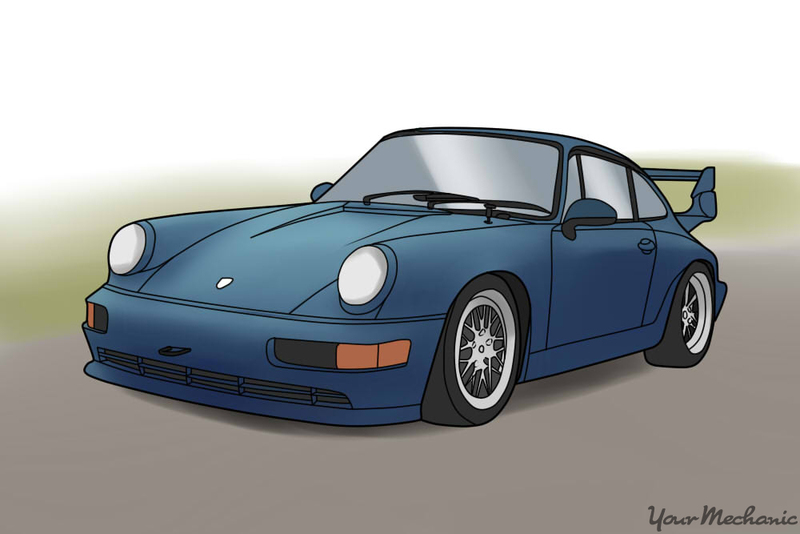 A body kit consists of front and rear bumpers, spoilers, side guards, and paint. Factory pieces will be removed and aftermarket parts will take their place. In many instances, the car will need modification to accommodate the kit. With anything that will drastically change the car’s appearance, it is important to be patient and measure everything twice, otherwise the end product could turn out looking mis-matched and cheap. Some kits are simple enough to install yourself, but for most it is best to have a professional do it. Here is how to go about finding a kit that works and finding out how to have it installed. Step 1: Search for the body kit you want. Get accustomed to frequently using your favorite search engine in the process of finding a body kit that works for your car and budget. Take time to scroll through multiple examples that show the look you are going for, and pay close attention to any company names that pop up often as those will be good to refer to later on. You can make a folder of photos for inspiration and reference, but certain online applications like Pinterest can make the process easier and more diverse. Make a list naming every company (or top 10) that makes a kit that works for your car and that you like. For more obscure cars, there may be one or two options only. For cars like the VW Golf or Honda Civic, there are hundred if not thousands of options. For every option, look up as many customer reviews as you can find. Look for places where customers mention how the kit fits, how difficult the installation is, and any issues that may have come after installation. For example, sometimes a kit will cause the tires to rub the body or will make obnoxious wind noise at high speed. Step 2: Buy a kit. Purchase the kit you ultimately decide on, and throughout the ordering process keep in mind the specific model and layout of your car. With some models, the actual dimensions will vary depending on the region in which it is sold. If ordering online, call and talk to an employee. Ask any questions that are on your mind before placing an order. They will be able to advise you on how to install it or whether or not the kit can even be installed by a non-professional. Bear in mind what tools will be needed to install the kit. Some take only screwdrivers and wrenches while some require cutting and welding. Step 3: Inspect the kit. Before starting the installation process, inspect every single piece of the kit and ensure that it not only fits your model of car, but that the pieces are symmetrical. Lay pieces out on the ground near their respective locations on the body, the general length and width will be easy to check when held next to the factory part. If any pieces are damaged or defective, replace them before continuing. There is a wide variety of different body kits and different styles available to today’s customer, so each and every kit will have its own quirks and issues. A certain amount of fitting is required, as kits are rarely ever perfect and once a car has been used for a while, little bumps and scrapes can cause the panels to become unaligned. Each car and each kit is different, but there are a few steps that are nearly universal. Step 1: Prep pieces of the kit for installation. 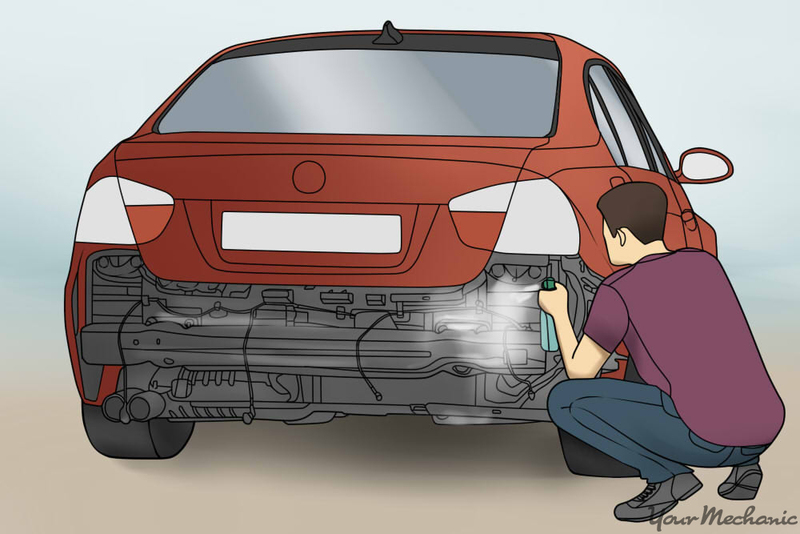 If you are not painting the entire car once the kit is installed, then you need to paint the pieces of the kit before installation. If you are going to paint the kit pieces, get the code for your specific color of paint from the manufacturer. The paint on the new pieces will look brand new, so have the rest of the vehicle waxed and detailed after the kit is installed to make it look cohesive. 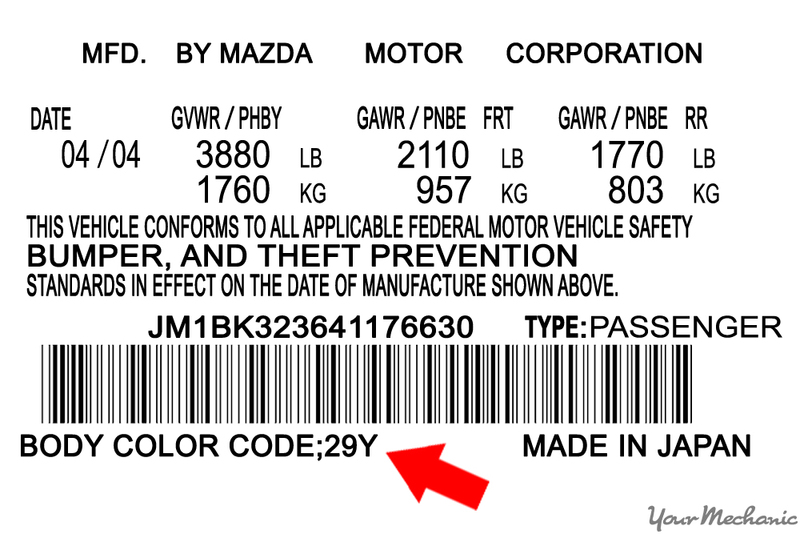 Tip: You can get tips for where to find the paint code for each part of your car online. Step 2: Remove all of the factory pieces that will be replaced by kit pieces. This is usually the bumpers and the side skirts/rocker panels. On some cars, this will be very difficult and may require special tools. Research the process for your specific model ahead of time to avoid making a frantic run to the store every couple of hours. Step 3: Clean exposed surfaces. Clean off all of the surfaces that will have new pieces mounted to them using degreaser. This will prevent grime and built-up dirt from affecting the kit of the body pieces. Step 4: Lay out the body kit. Line up the pieces of the kit next to the spots where they will be mounted to ensure that holes, screws, and other features all line up correctly. Step 5: Attach each piece of the kit. Start attaching the pieces of the body kit, starting with the front bumper if possible. 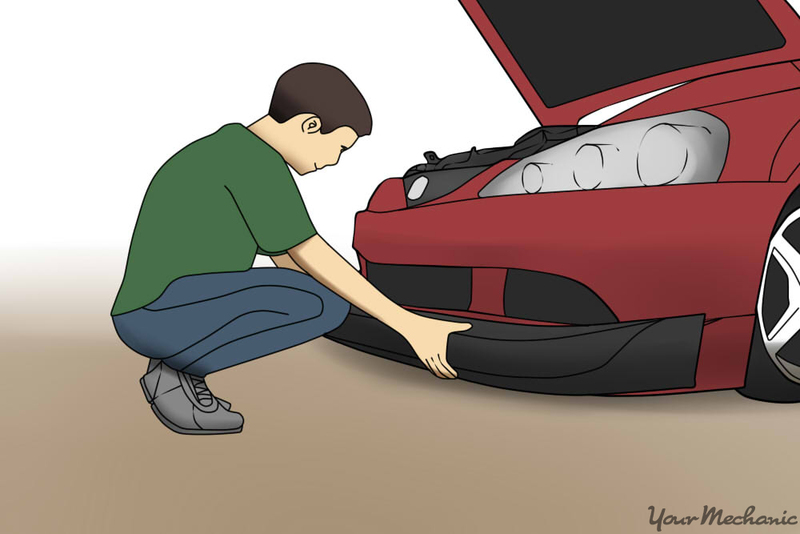 Note: On some kits, the side skirts need to go on first to avoid overlapping with the bumpers, but installing the front first and working your way back will help the whole kit ine up and flow with the car. Tweak the front until it lines up with the headlights and grille. It may take some trial and error. 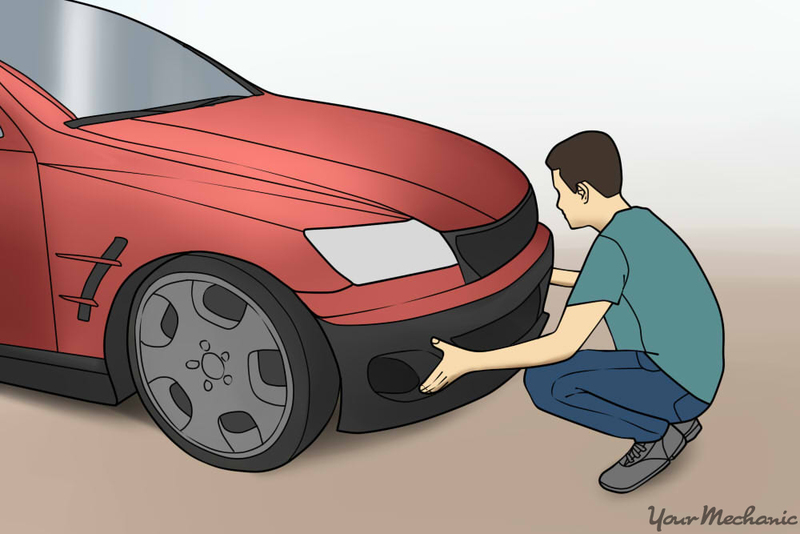 Install and adjust the side skirt to line up with the fenders and the front bumper. Line the rear bumper up with the rear taillights and the side skirts. Step back and assess the fit of the whole thing. Decide whether or not to adjust the position of any pieces. Step 5: On kits that use an adhesive along with screws to hold the pieces on, there is an extra step. Once the pieces are installed and adjusted to the right position, take a grease pencil and mark the outline of the kit pieces. Apply adhesive strips and double-sided tape to pieces of the body kit and then install all of them. This time, make sure they are installed securely enough to deal with the abuse of driving on the road. Note: Make sure the parts are aligned perfectly once the double-sided tape is on. If the kit you decide on is too complex to install yourself (some popular kits from Rocket Bunny require cutting the fenders) or if your car is simply too difficult to disassemble at home, then you need to find a reputable shop to do the installation. Step 1: Research potential shops. 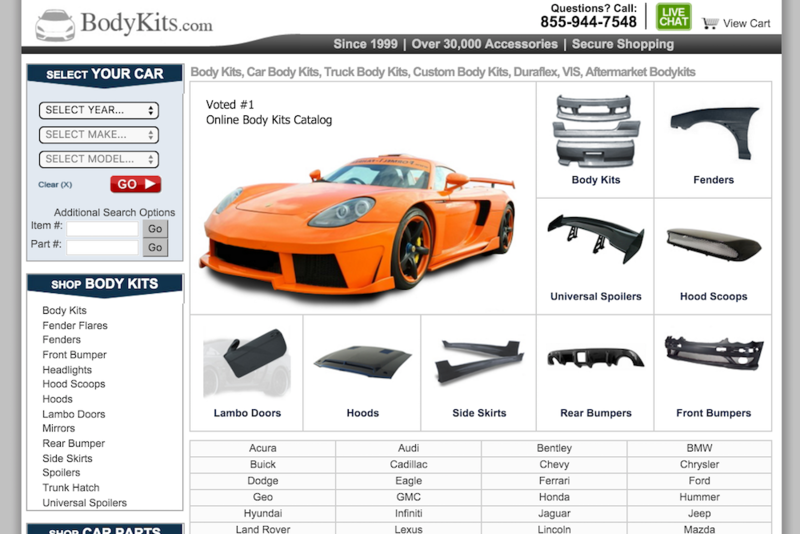 Look online to find shops that are known for both installing body kits and working with your make of car. Read customer reviews. Look specifically for ones that mention price and turnaround time. 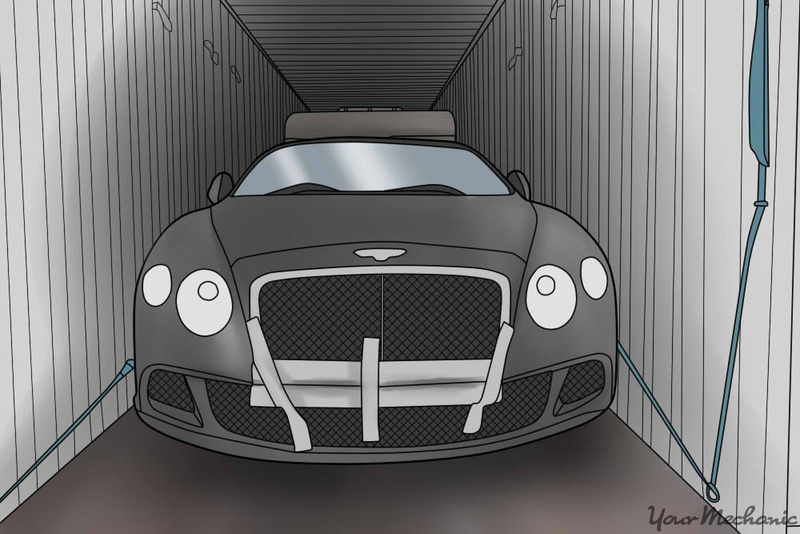 Note: The shop that will do the best work may be far away from where you live, so budget for having the vehicle shipped if you decide on a place across the country. Try to find a shop within a reasonable distance that has positive reviews. A good turnaround time and a quote for the final price are both important as well, but for some models the number of shops that could perform the modifications may be so small that you may have to settle for good reviews. Try and see some existing work they have done to see the quality of their work. Step 2: Get the car to the shop. Either drop the car off yourself or have it shipped to the shop. Include all the parts required for the kit. 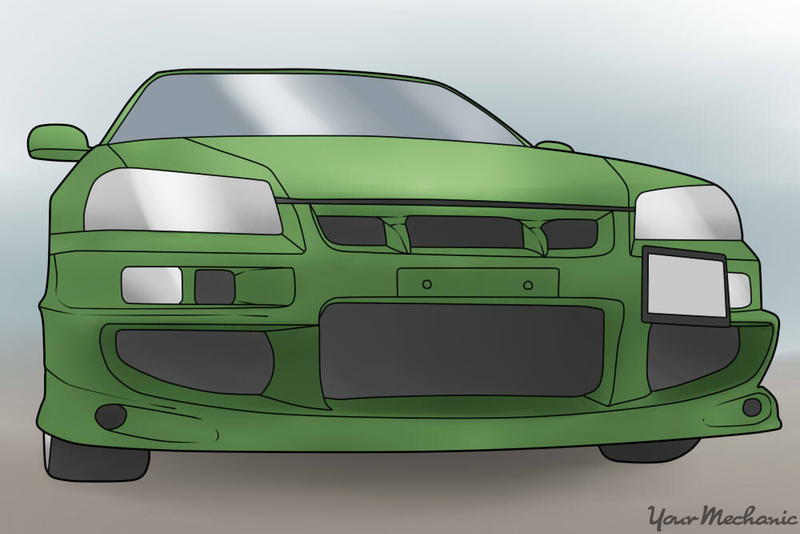 Turnaround time depends on the complexity of the body kit, the extent of the modification, and the paint. If you drop the car off with the body kit already painted and the kit is simple, then installation could take a number of days. If the kit needs to be painted but the car is staying the same color, then the process will take a bit longer. Expect it to take one or two weeks. A very complex kit or a particularly extensive set of modifications can take months to perform. If the entire car needs to be painted, it will take considerably longer than having the pieces the correct color from the start. Note: These times reflect the times it takes from when work begins on your vehicle. At busy shops, you could be in line behind several other customers. Step 1: Check the alignment. Check the wheels and see how they fit with the new body kit. You may need larger wheels to avoid an awkward-looking gap. You don’t want too much space around the wheel or too much overhang from the fender. Get a wheel/tire combo that adequately fills out the fenders without contacting them when the suspension flexes. Step 2: Check the height. 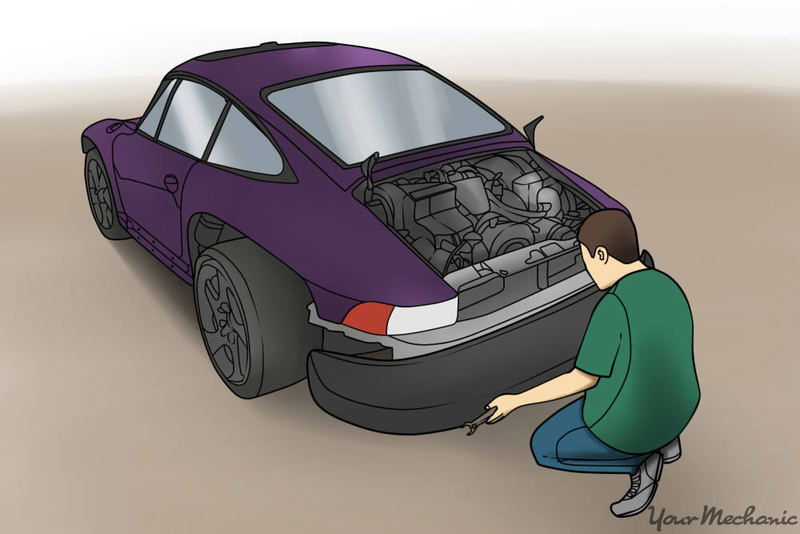 Make sure the ride height is sufficient so the bumpers and sideskirts don’t take too much abuse when driving around. Suspension is usually lowered in conjunction with having a body kit installed, just make sure you can clear a speed bump on occasion. Air suspension will allow the driver to adjust the height of their vehicle. That way it can sit lower on a smooth road and higher on a bumpy road. Test drive the car and adjust the suspension if the wheels contact the fender wells or if the suspension isn’t performing smoothly. It make take a few tries to dial it in. Make sure you are completely happy with your new body kit installation before you pay for it, as it is more difficult to negotiate any changes after you’ve paid and driven away. 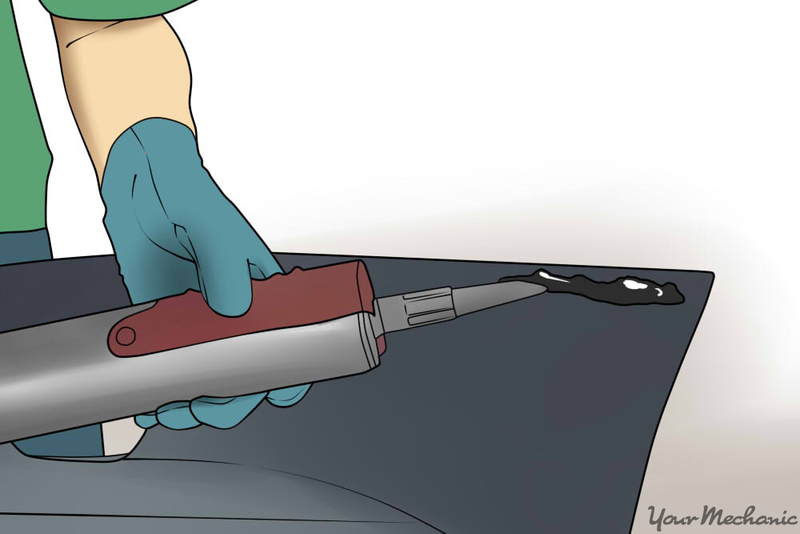 If you’re installing the body kit yourself, take your time and complete each step as accurately as you can. The finished product will be well worth the attention you pay to each detail now. Q: Can i put wheel spacers on my Yaris?